Two hand woven cotton panels woven together with selvage cord. 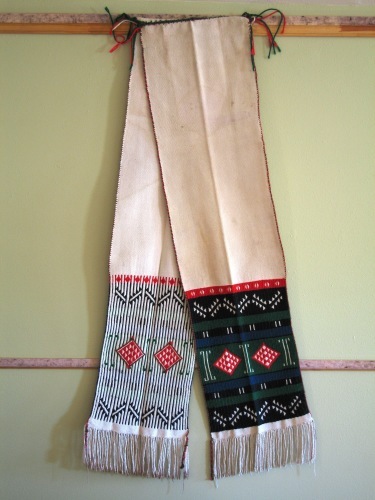 Embroidered Katsina pattern. Well cared for and in excellent condition.